Your experiences, along with the stories from other families across the nation, will help show leaders that celebrating and maintaining linguistic diversity is a priority in their communities. 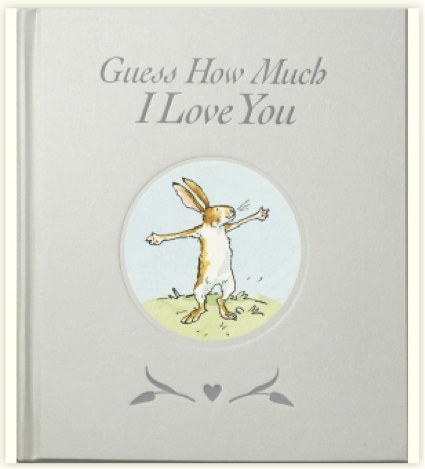 Click here to see the hundreds of stories that have been submitted so far! 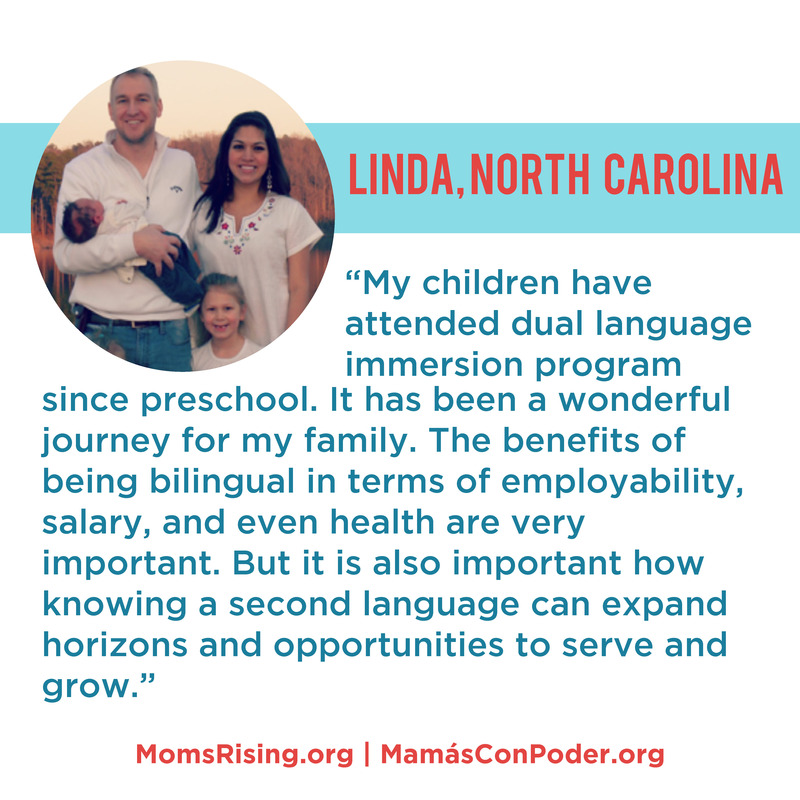 At MomsRising/MamásConPoder we know the value of multilingualism in creating bridges for children in the early years. From raising our own bilingual children, being bilingual ourselves, or working in communities to strengthen dual language education programs—we are committed to celebrating language diversity. 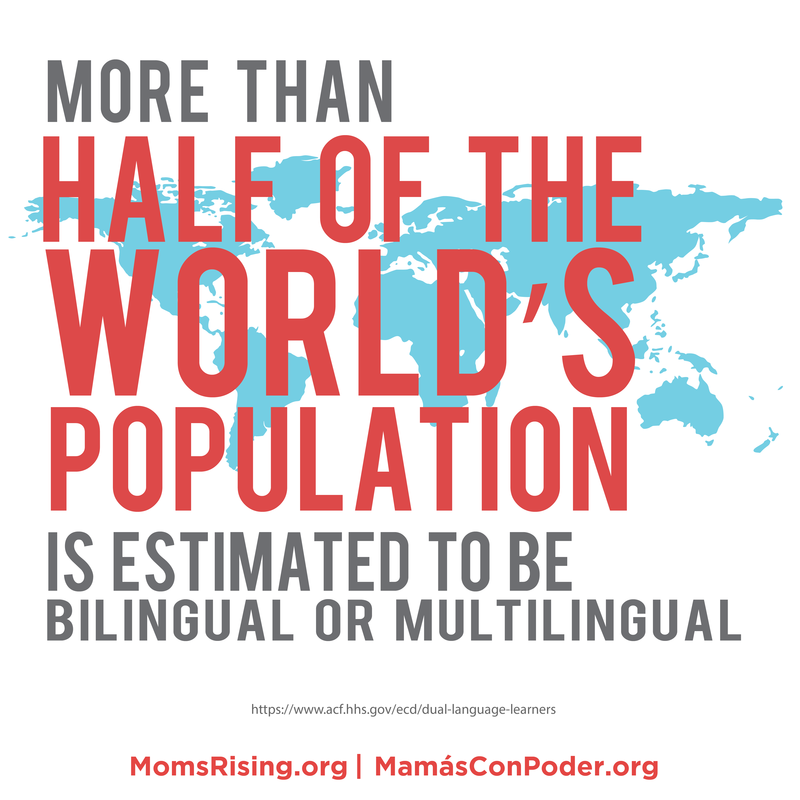 Which is why MomsRising is launching its first ever bilingual parenting resource site! Para leer esta página en español, haga clic aquí. 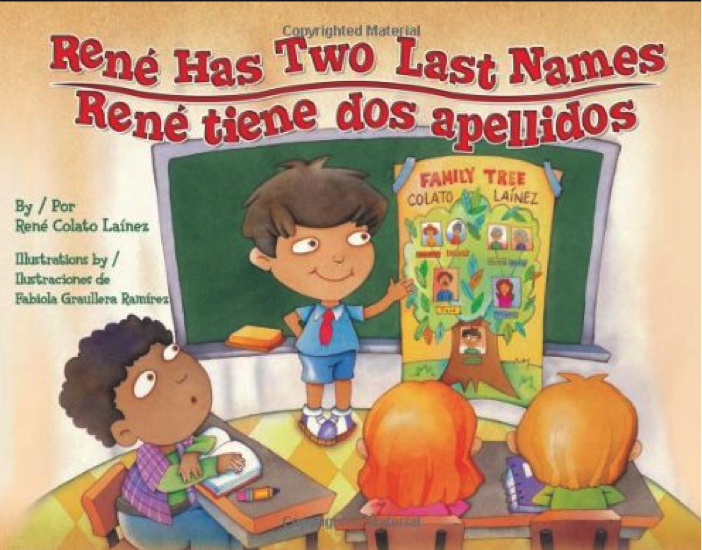 Explore this page for resources, the latest research, and the opportunity to raise your voice on dual language learning! Six benefits of bilingual education include: Flexible Brains, Increased Executive Functioning, Stronger Empathy, Better Reading Comprehension, Overall School Performance, and Protection against Alzheimer's and Dementia. Speaking your home language with your child builds strong cultural connections and is great for their development. 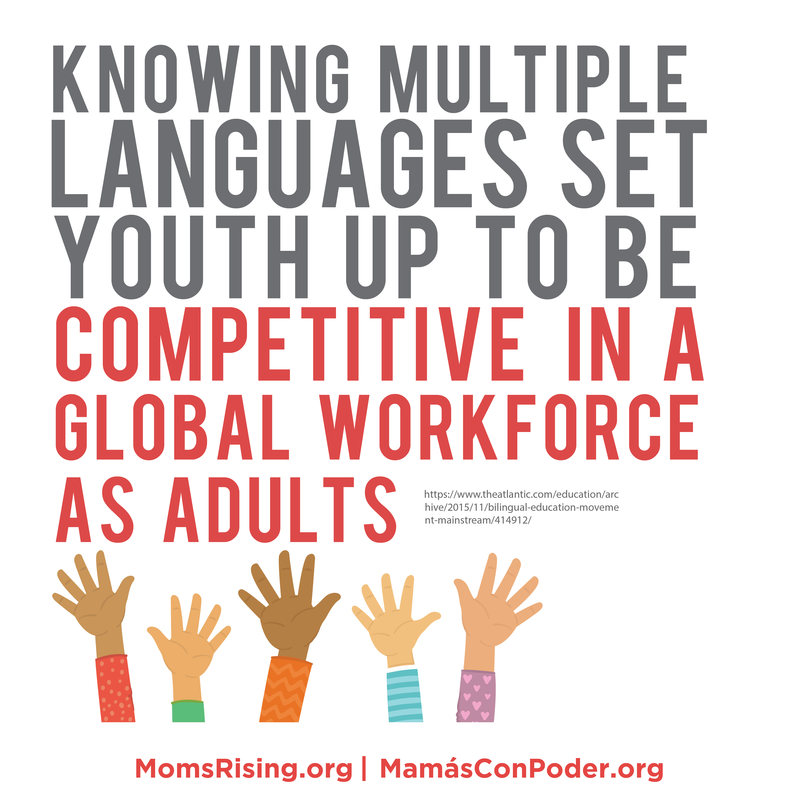 Knowing multiple languages set youth up to be competitive in a global workforce as adults. Over half of the world’s population is estimated to be bilingual or multilingual. Research shows that dual language programs are the best way to increase student achievement for English Language Learners (ELL), while also improving education outcomes for native English speaking students. Babies in multilingual environments, including those who were exposed to a second language only minimally, already understood the importance of adopting another’s perspective for communication. 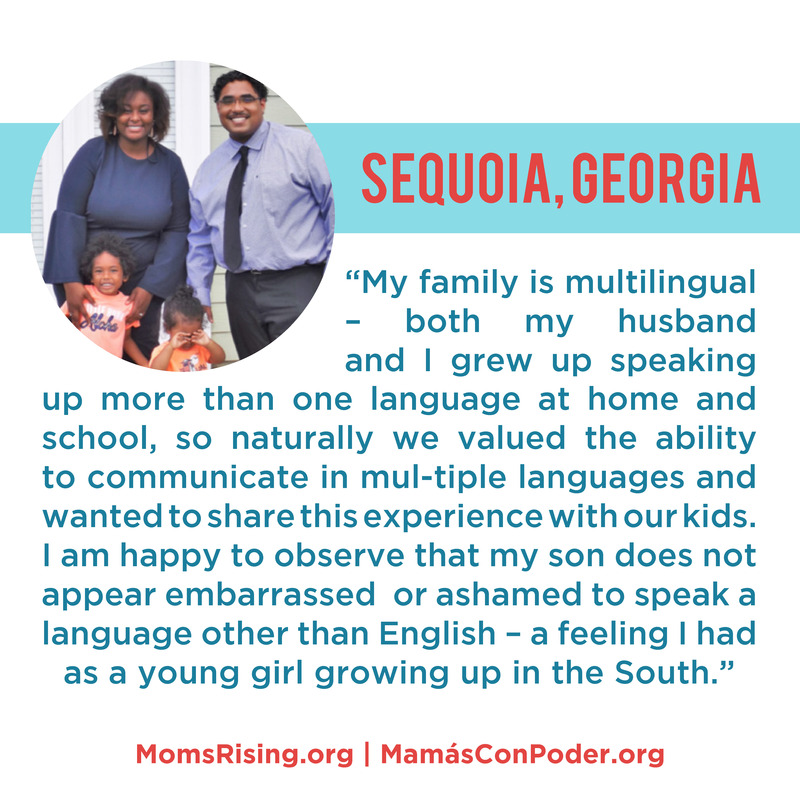 To build momentum for dual language education and increased home language support in early learning programs, we need families (like yours!) to share their experiences and thoughts on the benefits of being bilingual/multilingual, the difficulties of navigating childcare settings without on-site support in your home language, and why maintaining your cultural language is important to your family. The good, the bad, the complicated - we want to hear it! Please share your experiences by filling out the form. 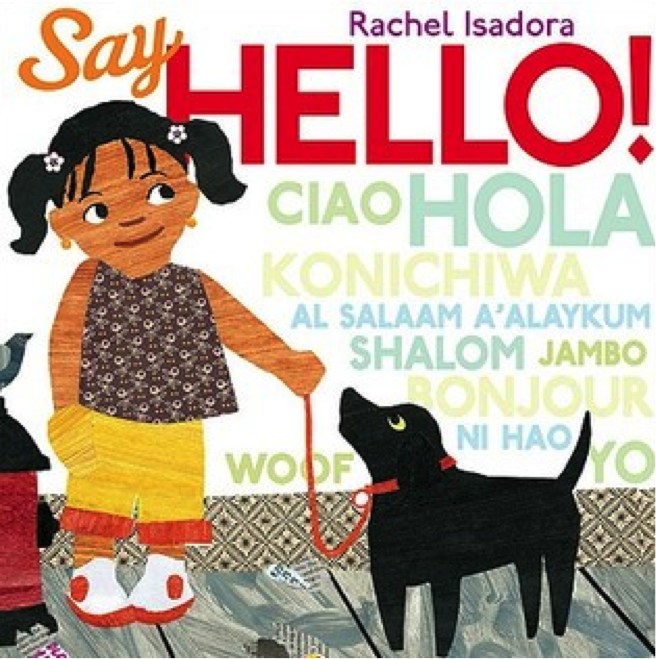 Speak Your Language resource from One America that outlines why learning more than one language is good for your child, tips on helping your child learn their home language, and more! Parent-led Bilingual Kids Rock website with activities, tools, a podcast, and more! See what the experts are saying about Dual Language Learning!